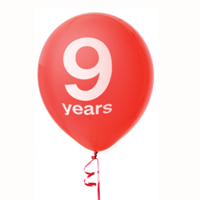 Today we are celebrating the fact that 9 years ago the first version of the award-winning, revolutionary ORM named DataObjects.Net was released. Due to this we are launching our new edition & pricing policy, new customer area and we are hoping that you'll like it. The main change in this version in addition to all listed in RC 1 & RC 2 is Community edition support. Download it from official website or from NuGet repository. The edition is absolutely free. Anyone can obtain it from our website. It contains 2 hardware licenses (means it can be installed onto 2 workstations at once). Number of persistent types is limited to 20. The license is issued for 1 year as regular licenses. Professional edition is available for $150 and includes 2 hardware licenses. Comparing to the previous pricing scheme (500 euro), the price cutting is more than 65%. Moreover, 3 items are available for $120 each and 5 items - just for $100. Ultimate edition also gets its new shiny price, from now it is available only for $1500 instead of 2500 euros. The edition provides the unlimited number of hardware licenses. Ultimate edition contains access to the source code no more. We extracted 'Access to source code' feature to a separate package to make it available to all our customers, not only for Ultimate edition owners as it was earlier. So anyone, even an owner of Community edition has a chance to dive deep in DataObjects.Net white and black magic. The price for the package is set to $500. The source code is available in download area of our website. Get access to source code. We are inviting you to the new customer area that we have built for you for better and easier license management. No more registration, we migrated to OpenID authentication scheme. We added license sharing feature, so your developers won't bother you with anything concerning licenses and hardware locks, you may share the license with all of them. Soon you'll receive our invitation e-mail. We need you to log in the area to get your licenses associated with your account. Don't forget to periodically check your mailboxes! Join the celebration! Thank you! Nice, really like new look of customer area! Congratulations! I also like the customer area - very clean and intuitive. Excellent stuff guys. Good work!